This project started out as a comparison of two OTAs of differing design and aperture (Tak TOA 150 and Vixen VC200L). realized before starting this project that FHWM is proportional to Air Mass. 2's to the mid 3's! fewer subs per night and limiting those to subs near the meridian. 1.69"/px. As I up or down scaled the data from one to match the other, resizing lost considerable resolution. they each had on FWHM. file listed is the original image before registration. 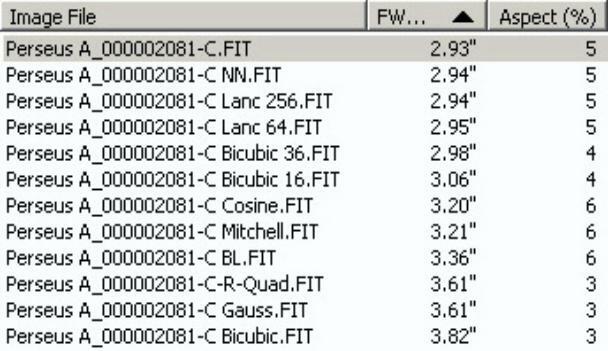 Note it has a FWHM of 2.93". but these methods blurred detail in galaxies and nebulae at the same time. loses detail in the galaxies. 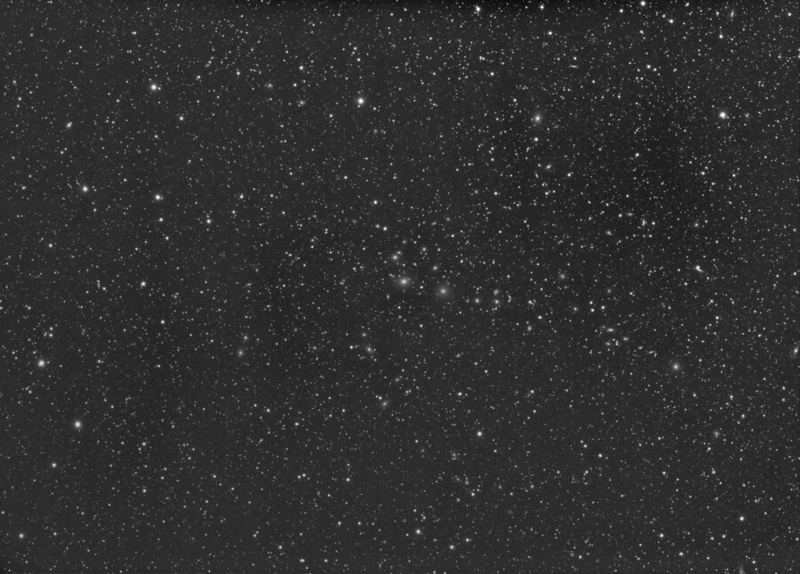 Bicubic 16 produces a reasonably small FWHM (3.06") but creates a dark pixel at the 6 o'clock position of bright stars. That dark blob is a single pixel, by the way, showing how magnified these images are. 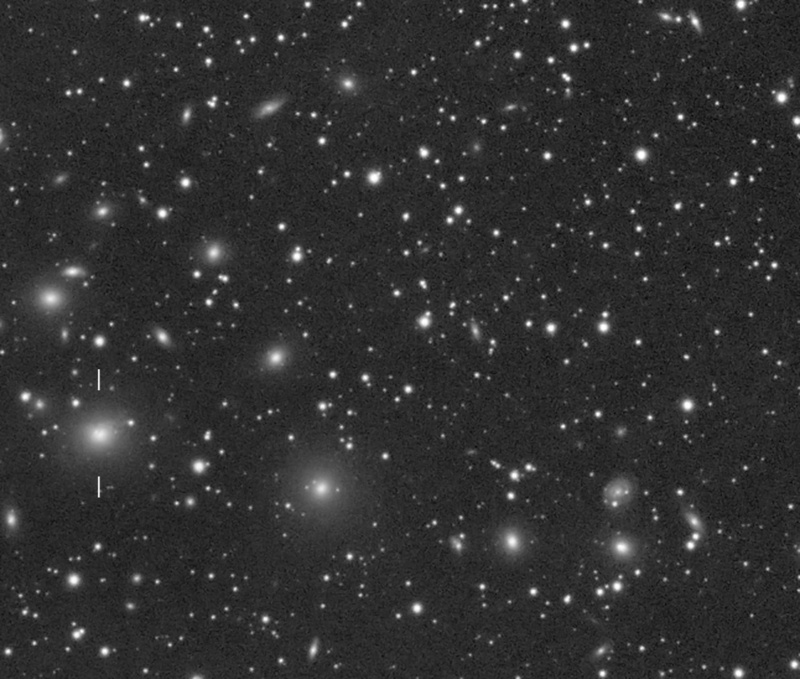 Much of this would not be visible in a full frame image. email a 3 Mb ZIP of the images to interested parties if you contact me. image _looked_ sharper because the galaxies, stars and nebulae were all minified. the TOA. Furthermore, the VC is subject to collimation errors. VC200L is not all that much different in FL or image scale than the TOA. blows up to 3.6" in spite of all your other efforts. each other. Make a Master frame from the data from one filter, then use that master to register the subs from each of the other filters.